“You’re losing your hair? Well, it’s genetic.” This is what most men hear after asking a medical professional what causes hair loss. But it’s not entirely true. While certain genes may predispose men and women to hair loss, not everyone with these genes will go bald. And even if you’re thinning and have hair loss-related genes, it doesn’t mean that baldness is your genetic destiny. So why are so many doctors convinced that baldness is genetic, unavoidable, and only stoppable with potentially dangerous drugs? Note: this article is an excerpt from the new book. 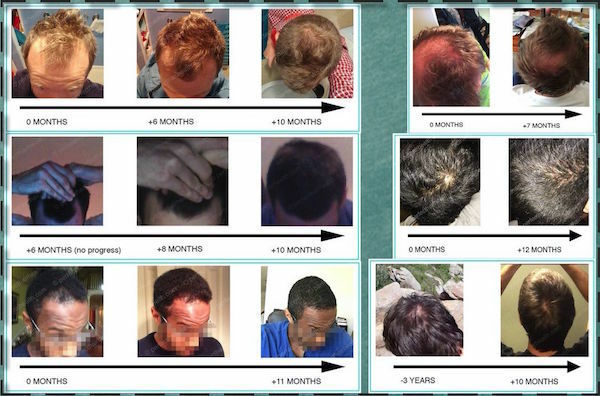 Want to access the excerpt and all my hair loss before-after photos? Confirm your email. I’ll send you my photos and an entire chapter – absolutely free. Enter your email for my hair loss diagnosis, regrowth photos, and a full free chapter. Genetics & Hair Loss: Fact Or Fiction? But is the assumption that baldness is caused by your genes actually true? Twenty years ago, the answer was yes. At that time, medical professionals agreed that your genes – or the DNA your parents pass on to you – determine all of biology (from how tall you are to how much hair you have). And since genes “run in the family”, if your father had a heart attack, you’re genetically predisposed to heart disease. If your father lost his hair, you’re genetically predisposed to baldness. For instance, studies show a clear relationship between certain genes and hair loss. If we have this genotype, we’re twice as likely to go bald. If we’re really unlucky and have this genotype, we’re seven times more likely to bald. If we have both genes? We’re screwed. Or at least that was the assumption. Today researchers are rewriting this assumption. New discoveries are dismantling the relationship between genes, disease states, chronic conditions… and even our hair. It all began with The Human Genome Project. In 1990, a series of international research teams began working on a multi-year, multi-billion dollar research collaboration: The Human Genome Project. The objective: to identify and quantify every single human gene. The rationale behind its funding: One major scientific assumption, and one major scientific promise. The assumption: our genes are the root cause of our cancers, autoimmune disorders, and chronic conditions. The promise: if we map every single human gene, we can identify the genes that trigger diseases like multiple sclerosis or Parkinson’s. If we know which genes cause disease, we can develop technologies to “delete” those genes and then prevent them from ever happening. It’s no surprise that the US spearheaded this research project. Over 130 million Americans – or 45% of the entire US population – suffer from chronic diseases. Chronic conditions are responsible for seven out of ten American deaths. They account for over 80% of all US hospital admissions. And every 30 seconds, an American-based doctor amputates a limb as a consequence to one of the country’s most common ailments – diabetes. Why wouldn’t a disease-ridden nation support a project with such potential? Why wouldn’t this nation want to be at the forefront of these discoveries? The Human Genome Project’s expectations could not have been higher. Whereas mice have about 20,000 genes, scientists speculated that humans, due to their complexity, would have seven times that amount – 140,000 genes. Once all the genetic triggers of cancers, autoimmunity, and even autism were mapped, we’d begin creating technology to “turn off” those genes and paint a disease-free future. Thirteen years later, the project was completed. What were the results? The discoveries stemming from the Human Genome Project were puzzling at best, and disappointing at worst. For one, scientists uncovered that humans don’t have nearly as many genes as we thought. In fact, humans have just about 20,500 genes. Shockingly, we have only 300 unique genes that distinguish us from a mouse. But the most surprising discovery was that, despite mapping our entire human genome and identifying some genes linked to disease, nearly all gene variants posed a minimal risk for disease development. In other words, the root cause of most disease was not genetic. Some genes are associated with disease, but most genes do not cause disease. Intriguingly, researchers also discovered that our genes weren’t so “one dimensional.” Many genes actually serve multiple functions. They don’t have single-purpose relationships with specific processes – like cancer development or metabolism. If we delete a disease-linked gene, we might never develop that disease, but we might also impair our digestion, brain function, or even immunity. For example, the gene mutation that causes sickle cell disorder also protects people from malaria. Sickle cell disorder is more common in malaria-ridden regions, and many researchers believe this mutation actually helps sufferers survive to adulthood and reproduce, even if the disease shortens lifespan overall. Genetics do not determine all of biology. Our genes are not our destiny. By 2003, the conventional wisdom that genes are the root cause of our cancers, chronic conditions, and diseases was proven wrong. But doctors never stopped repeating the dogma. Most continued telling patients their ailments were genetically driven. Why? Most patients aren’t scientifically literate. They do better with simple, blanket explanations. Think about it. If you’re a cardiologist and your patient asks, “Why do I have heart disease?”, which answer sounds best? Of course the first answer sounds the best. The layperson knows about “genes”, but very few people understand more than, “They’re passed down from your parents to you.” When an explanation feels beyond someone’s grasps, people often stop asking questions. I don’t think doctors maliciously intend to withhold information from you. That’s conspiratorial and unproven. But when we look at the pressures doctors face, it’s no wonder they default to simple explanations. Doctors work an average of 59.6 hours per week. Most family doctors manage a panel of 2,300 patients. A specialist’s waitlist is months-long and never-ending. On average, specialists spend just 20.8 minutes per patient. And for new doctors, face-to-face patient time lasts merely eight minutes. Keeping up with patient demand means longer hours, shorter patient interactions, and more daily appointments. When a doctor tells a patient their condition is “genetic”, it’s the shortest answer possible. It yields the fewest patient inquiries. It’s an answer that gets a patient out of the chair faster. It’s an answer that gets physicians to their next appointment faster. Unfortunately, it’s also an answer that’s mostly untrue. For the majority of diseases, the Human Genome Project took that “gene” argument off the table. In fact, new research speculates that 70-90% of disease risk isn’t genetic. It’s environmental. So the next time a doctor tells you “It’s all in your genes,” ask for more information. And the next time a doctor says, “Hair loss is genetic,” ask the same question. Early in this article we mentioned a few genes associated with hair loss. There are actually a lot more. I would know. I have almost all of them. In 2015, I decided to discover more about my genes. So I went and got my entire human genome sequenced through a service called 23andMe. This is how it works: 23andMe mails you a vial. You fill that vial with saliva and mail it back to their lab. 23andMe processes your vial, decodes your human DNA, and sends you back the raw data. The company also provides you with “fun” add-on services – like what percent of Neanderthal you are, where your mother and father come from, if you have any relatives in their database, or if you have any life-threatening genetic variants (that one’s not so fun). I was more interested in finding out what my raw genetic data said about my potential to develop disease. Specifically, I wanted to know, based on my genes, how likely I was to go bald. So I uploaded my 23andMe data into a company called Promethease. Promethease cross-references your DNA with all the published studies about your genotypes, then sends you an automated 100+ page report. The report tells you everything from how well you methylate B-vitamins to how quickly you detoxify drugs to your genetic predisposition for certain cancers. So how did my raw DNA compare to all the studies on genotypes and male pattern baldness? Here’s a readout of how my DNA stacked up versus all the genotypes linked to hair loss. I have ten other genotypes linked to hair loss. Each one of them increases my risk for balding. …followed by the worst genotype of them all… a 7x greater risk for baldness. A seven times increased risk for balding! Remember those hair loss genes referenced earlier in the chapter? I have both. Based on my DNA, I’m screwed. And then there’s the mounting physical evidence. My mother’s father is bald. My mother’s brother is bald. My father’s father was bald. My father’s brother is bald. Soon after the diagnosis I picked up a bottle of Rogaine and started an eight-week trial of low-level laser therapy (Luce therapy). While I never followed through with taking Propecia, I ended up taking Rogaine for seven years – even despite my continued thinning (see my photos). All kidding aside – my DNA data, diagnosis, and hair loss ‘before’ photos all suggest that baldness will be my genetic destiny. But my ‘after’ photos suggest otherwise. In fact, I was able to reverse my hair loss naturally – without pills, topicals, drugs, shampoos, or surgeries. The same is true for those other readers inside that sample chapter. In fact, natural hair regrowth photos continue to arrive in my inbox to this day. Here’s a high-definition progress photo of a reader’s vertex from earlier last week. So is baldness still a genetic destiny? I’d like to think, just like the Human Genome Project, that we can revise that assumption. And this “revision” can be done without drugs, shampoos, topicals, or surgeries. What Causes Hair Loss? Genes Or Something Else? If most genes are only associated with hair loss, but don’t necessarily cause it… Then what is the cause? It turns out that while we can’t change our genes, we do have the power to turn genes “on” or “off”. Researchers now believe disease development has less to do with our genes, and more to do with which genes our body actives or deactivates. This is called gene expression – or when our cells turn combinations of genes on and off to perform certain functions. There’s an entire field of study exploring the factors that influence gene expression – Epigenetics. Epigenetics has revolutionized our understanding of disease prevention, pathology, treatment, and reversal. Epigenetics is what makes natural hair regrowth possible. To understand the potential of epigenetics, let’s look at a few examples of just how easy it is to change gene expression, and just how transformative those changes can be. We’ll start with agouti mice – a mouse breed once believed to be destined to a life of obesity due to their genes. Then one experiment changed everything. Is it possible to stay 100% healthy even if your genes “relegate” you to a life of disease? In the early 2000’s, researchers set out to uncover the answer. They set up an experiment with a certain type of mice called “agouti” mice. Agouti mice are genetically doomed. They have a mutation in what’s known as the “agouti” gene – a gene that determines fur color. Normal mice vary in color from brown to black. But this mutation makes agouti mice yellow. These agouti mice are also obese, ravenous, and far more likely to die prematurely from heart disease, cancer, and diabetes. It’s a mutation that, in extreme cases, is known as a “lethal allele” – a gene variant that causes early death in the animals that have it. You can’t change your genes. So does this gene guarantee agouti mice to a life of disease? Researchers decided the best way to answer this was to see if they could influence the agouti gene’s behavior. The team believed that if they could give mega-doses of certain nutrients to an agouti mouse during its early development (ie: while it was still inside the womb), then maybe those early nutritional gains would help the mouse live longer. Agouti mouse would still be born yellow, but maybe they wouldn’t be so overweight or die so young. So they split up their agouti female mice into two groups, fed them each two different diets, then impregnated them. One mother group was fed a standard lab rat diet. The other mother group was fed a diet rich in vitamin B-12, folic acid, betaine, and choline for two weeks before and during their pregnancy. The females were mated, and twenty days later, each group was ready to give birth. This was a longevity study. It would take years for researchers to track each baby’s weight, length, development of cancers, and finally their age of death. In short, no one expected any surprises during the birthing stage. But that’s just what happened. In the group fed a lab rat diet, the babies were born yellow and fat (as expected). In the group fed a nutritionally rich diet, the majority of babies were born brown. And skinny. These siblings are genetically identical. How can they look so different? The group of agoutis fed mega-doses of nutrients defied genetic destiny. They were supposed to be born yellow and overweight. Instead, they were born brown and skinny – just like mice without the agouti gene mutation. How is this possible? The agouti gene is unchangeable. It destines agouti mice to be yellow and fat. “You can’t fight genetics,” as my barber said. Except you can. Here’s something doctors don’t mention about genes: they can become activated or inactivated. That’s what Epigenetics is – the study of gene expression. And this agouti mouse study was a breakthrough. Why? It proved we could control gene expression. 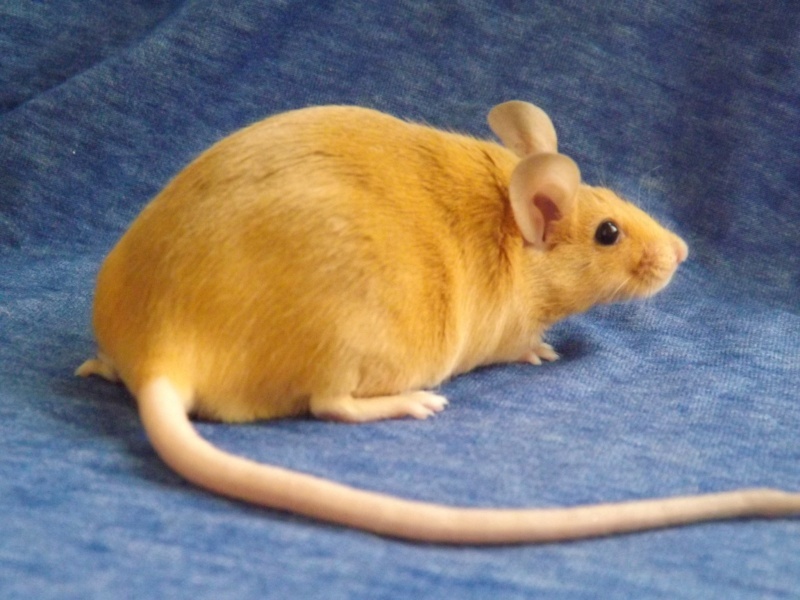 We can turn off the gene that makes mice yellow and fat… using only better prenatal nutrition. This is possible through a process called methylation. Before conducting the agouti mice study, researchers uncovered that the agouti gene – the gene responsible for agouti mice’s yellow coat and obesity – was “unmethylated”. What does that mean? It means in the yellow mice, the agouti gene was always “turned on.” It was always activated inside the mouse’s cells. Researchers also knew that methyl donors – compounds found in certain foods – could potentially “methylate” certain genes – or turn them off. How Does Methylation Alter Genes Expression? To put it simply, inside every cell is DNA, and inside DNA are genes. When we eat food, our cells break down that food for energy. If that food also contains methyl donors, those methyl donors will also enter our cells and leave behind small chemical tags on top of our DNA. These chemical tags tell the cell which genes it should turn on or off. An unmethylated gene is active – or turned on (upregulated). A methylated gene is turned off – or inactivated (downregulated). For a fascinating overview, see this flowchart. These researchers thought that if they fed pregnant agouti mice enough methyl donors, maybe those methyl donors would “methylate” the agouti gene, and in doing so, dim the gene’s effects on the mother’s babies. They did, and beyond all expectations. The diets high in methyl donors not only methylated the agouti gene, they turned it off completely. What’s even more interesting, when those brown, healthy agouti offspring reproduced, they passed down their coat color! Their babies were also brown. These results changed our understanding of genetics forever. Even before the Human Genome Project was complete, another research team had already rewritten its biggest assumption. You can control your gene expression. Genes might be your body’s blueprints, but genes do not determine your destiny. The researchers published their study in 2007, and within the year, interest exploded in what is now known as Epigenetics – the study of the factors that influence our gene expression. It turns out these factors extend far beyond the prenatal nutrition of agouti mice. At birth, identical twins’ genes are the same, and their gene expression (which genes are turned on and off) is nearly identical. But as twins age, their active and inactive genes begin to diverge. And by adulthood, their gene expression looks nothing alike. Some researchers believe these differences are why one identical twin can develop disease while the other twin remains unaffected. Even more interestingly, new research suggests that epigenetic differences may explain why one twin balds faster than the other, and sometimes, not at all. So what are the factors that influence gene expression and contribute to disease development… or disease prevention? Acetaldehyde – a byproduct created when our bodies process alcohol – can inhibit enzymes that regulate gene expression and normal cell function. In some tissues, like the brain and the liver, too much acetaldehyde exposure can even damage DNA. Tobacco smoke can activate genes in the mouth that are associated with cancer development. And for some people, these genes stay turned on even years after quitting. This partially explains smoking’s cancer and survival rates. Long-term sleep deprivation – through all-nighters or consistently under-sleeping – activates and deactivates genes that control inflammation, thermoregulation, and energy breakdown. The result: increased inflammation, a decreased body temperature, and a slower metabolism. Practicing meditation, mindfulness, and deep focus influences gene expression in our brain, and over time, can grow the brain’s gray matter, hippocampus, and orbito-frontal cortex. It can even lengthen telomerase – an enzyme associated with longevity – in breast cancer survivors. Our gut bacteria – the organisms inside our intestines that aren’t human – feed off food we ingest, and then produce enzymes as byproducts. These enzymes create a mutually beneficial relationship with our human cells. They alter our intestinal gene expression to enhance the breakdown and absorption of fats, carbohydrates, vitamins, and minerals. In fact, without these bacteria, we cannot survive long. Exercise upregulates (activates) genes in muscle tissues that help with glucose utilization and inflammation. The more you exercise, the stronger this gene expression, the more efficient a muscle becomes at using glucose, the quicker that muscle recovers from inflammation. Moreover, regular exercise upregulates genes that trigger brain stem cells to make new neurons, even growing the size of the brain itself. Can we influence our gene expression to arrest or even reverse pattern hair loss? Everything from the air we breathe to the foods we eat affects the genes we express. We might carry the gene for a rare cancer, but if we live in ways that never activate that gene, we don’t have to develop that cancer. The same is true for hair loss. If we want to arrest pattern hair loss, we need to minimize our exposure to what can trigger it, and optimize our exposure to what promotes hair regrowth. And if we want to regrow lost hair, we need to reverse the two chronic conditions that cause hair loss in the first place. It starts with our scalp environment, diet, lifestyle, and even our microbiome. Hair loss is chronic and progressive. There’s also a genetic component to it. But we don’t have to express the genes associated with hair loss. And even after we start losing our hair, we can even influence our own gene expression to activate the genes associated with hair growth and deactivate the genes associated with hair loss. Gene expression – and our ability to change it – is the basis for what makes natural hair regrowth possible. hey rob i just wanted to ask, as i have acne will the diet changes in the program improve or worsen my acne? On the contrary – I’ve seen significant skin improvements from the diet outlined in the book. But in general, improvement depends on the kind of acne. If it’s acne as a result of small intestinal bacterial overgrowth – then a diet void of heavy starch or carb meals will help significantly. To adopt this to the book’s diet, just eat fewer potatoes / rice but still keep total calories the same (avoid a deficit). If your acne is hormonally-driven, then the diet outlined in the book should help as-is. According to Rei Ogawa mechanical stimulation changes Gene expression. are we talking about a matter of months before Gene expression changes? How often does this occur. And im seeing changes in Hair quality since doing the messages. Im three months in, and it looks feels more dense. No longer greasy and dead. However No re-growth( only three months) , but definite positive change in quality look. Wouldnt say complete thickness yet, but looks better than last month. Also skin is becoming much more elastic on vertex, frontal is also giving in. However ive lost ground on probably what was dead hair on the front. Il keep you up to date. Hey Praz – according to Rei Ogawa’s research, gene expression can change in a matter of hours. After 72 hours of continuous dermal papilla stretching, Ogawa and his team demonstrated thousands of genes expression changes. Obviously we can’t keep our scalps stretched all day long, but cumulatively the stretching exercises should help in the long-run. Great to hear about your progress. I’d consider easing up on any areas where you feel like you’re losing ground. There’s no need to regress so long as you ease into the regimen slowly. Everything else sounds like you’re on track. Allow me to play devils advocate. I know the answer might not be simple. So Gene expression has changed to a pro-growth status. Which would if my calculations are correct would take just over 4 months of the regimen (40 mins per day) . Funny enought this is where I read most people begin to see significant changes to quality if they have done the massage without missing a day. Most likely longer. But Scalp environment (Ie calfication reduction) would have to be in good shape and health in order for these newly expressed genes to allow re-growth process. Whats your opinion on Cupping therapy ? I read people halted Hair loss. And the biggest discovery was that they found clots of goo like blood in the scalp. Which sounds like fibrosis. Hey Praz – cupping has long interested me, but I’ve never tried it and haven’t been able to speak personally with anyone who’s tried it for hair loss. My assumption, based off what we know about mechanical stimulation, is that the bruising/wounding effects are all pro-hair. 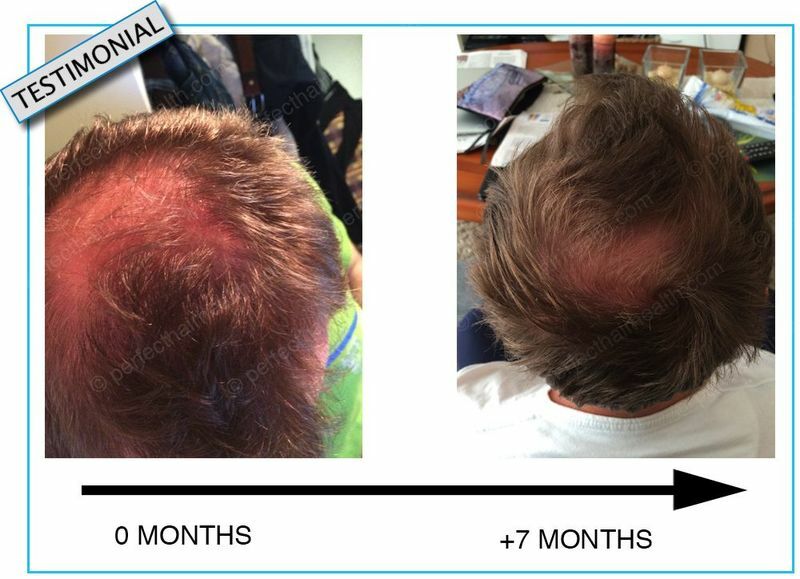 The benefits are probably exponential if someone’s also already loosened their scalp or dialed in diet/lifestyle to minimize the conversion of free testosterone to tissue DHT during inflammatory processes. If you try it, please let me know! I’d love to hear about the experience. Rob I need your advice. About tho months ago my doctor who is actually both doctor in chinesse medicine and west medicine instructed me to using something like Zhangguang 101. This person came from china by the way and claims that this product have very good results. I am using this product with massage since 2 month. It’s too short time to see any result but do you have any knowledge about this products ? Remember that I am talking about Zhangguag, not Fabao, fabao is a scam. Kuba – I checked out their site but could only find minimal information about each product’s ingredients. It looks like most ingredients are catered toward 5-AR inhibition and increasing blood flow. I don’t think using this product will hurt, but I’ve also never advocated for or endorsed any supplements or topicals, ever. But if you’re going to spend money on hair regrowth supplements or topicals, you might want to also consider attacking DHT from a different angle: rather than blocking DHT, increasing the speed of its metabolism. Check out the research on sulforaphane, or just start eating foods rich in it (like broccoli sprouts). I’ve just read some information on sulfarphane. Hey Rob..A brilliant article regarding gene expression nd balding. Can you please advice regarding one thing. Regarding microbiome, nutrition, gut flora & gene expression can all these years of eating inflamotory food could have diminished the good gut microbial counts? And in this regard will a good probiotic and/or fermented foods/veg be beneficial for restabilising the proper gut biome..
Great points. It’s been shown that different diets encourage different populations of gut flora, with stark differences observed in vegans versus standard american diets versus paleolithic diets versus fasting-related diets. A probiotic / fermented foods can help mitigate or even restore damaged or missing flora due to years of poor dieting. But unfortunately 99% of probiotics on the market are scams. They’re over-priced, don’t have a high enough bacteria count, and sometimes the bacteria are often dead-on-arrival due to poor shipping regulations and heat exposure. The best probiotic I’ve ever tried has been VSL#3. And it’s hard to come by. But it’s one of the few that have been clinically studied and shown to improve gut health in those with compromised immune systems. Hey guys I have a question. I’m a bodybuilder, (especially I like powerlifting) not like a gym rat but I go for 1 hour of workout once in 2 days. As I realize more and more balding bodybuilder I become getting anxious 😀 Do you think that there is a relation between balding and hair loss, or is it balding guys tend to develop their body more because of losing confidince caused by hair loss? Hey Mert – great question and very tough to answer. We know that hair loss and an imbalance between testosterone:estrogen exists in men. But interestingly, bodybuilding’s effects on testosterone levels is debatable, with testosterone increasing shortly after burst-related workouts (sprints, powerlifting, etc.) but with those upticks never sustained over days or weeks. 1) A slight uptick in free testosterone right after heavy lifting, and resultantly (in susceptible individuals), an increase in the conversion of free testosterone to tissue DHT in the scalp (though this is a bit of a stretch). But I don’t assume that just because someone lifts, they are more likely to lose their hair. If you’re smart about your workouts, have nutrition dialed in, and are working within the parameters of your body, you can get solid gains without the hair loss. Shortly, my question is do you have any recommendation to people who have chronically increased cortisol, and are we sure it causes hair loss? Dial those in! The triggers of high cortisol vary for each individual. But when it comes to common causes, those are top-of-mind. i was talking about DHT metabolites involved in baldness. Well, there are two prominent ones -> 3-alpha-diol and 3-beta diol. I thought since it is anti-prostate cancer , may be there might be less breakdown of DHT in 3-beta-diol in balding scalps. Turns out i was wrong. however, on its own , 3-beta-diol has very anti-stress, anti-anxiety effects when taken/inhaled at physiological doses(Source: wikipedia + people who have taken it). Hey Dante – thank you. I’m looking into this more and will report back if I find anything worth sharing. Unfortunately, I don’t know if enough research has been done on metabolites to say with certainty that they’re a causative factor in balding. It’s certainly possible. If I find something, I’ll send you an email right away. I have a question regarding the technique because there is an article that talks about the inversion method which is when you give yourself a massage for one week of the month. Only one week because she states that if you do it everyday, your scalp gets accustomed and will eventually slow the hair growth. What are your thoughts on this? Rob I am doing your regimen and I have a lot of dandruff or something like this caused by massage of course. Should I use maybe any oil on this places or leave it ? Is it any problem ? I mean dry skin. I don’t use any shampoo, only water, often is a cold water. Hey Kuba – try decreasing your intensity or taking a day off. Conversely, you can also try an oil (emu, coconut) and even apple cider vinegar to see if that helps alleviate some of the dryness. Hey Rob, I was just wondering why you don’t recommend bottled water in your book. And also what’s your opinion on like tuna in a can as opposed to like sardines or oysters. Thanks! Hey Wyatt – thanks for reading. When I was an undergraduate student, my friend did a research project on the phthalate concentrations of water from major bottled water brands. Companies like Poland Springs had recently transitioned to a more “eco-friendly” packaging – meaning thinner, flimsier plastic to save on materials, and we’d yet to know how this would affect the rates of plastic leeching. Her study’s results: all major tested water bottles had phthalate concentrations far beyond what was projected… especially for national/international brands that were shipped far distances in hot trucks (the heat likely increased the leeching). Bottom line: bottled water might sound better than tap, but it’s got its own problems worth avoiding. I use tap water + an activated carbon filter. RE: canned tuna / oysters / sardines — my advice is to always opt for fresh. If you can’t get it, then just be sure the manufacturer from whom you buy your canned goods isn’t lining their tins with BPA, etc. I was reading one of your articles recently about stopping the use of shampoos and conditioners. As someone with medium-long hair at the moment I’m interested in keeping it for as long as possible and this definitely caught my attention. Right now, I’m shampooing/conditioning twice a week. I used to shampoo/condition once a week but found my hair to get sort of limp and heavy by the end of the week so I decided to increase the frequency of my washings. On the days that I don’t wash my hair, I use coconut or argan oil to control frizz. 1). Do you think washing twice a week will increase the likelihood of thinning/balding? I like my current routine very much and I believe I’ve found my personal balance when it comes to the frequency of washing/not washing. 2). Do you think shampoo/conditioner quality makes a difference? I’ve done my boatload’s share of research into what brands are good what brands are bad (mostly asking around on forums) and what ingredients to look/avoid. I would like to think I’m using some fairly high quality products but I don’t know if this makes any sort of difference. 3). Do you think the use of oils has any effect on any of this? Like would coconut oil make the hair more brittle or clog the pores and cause thinning, etc. I would like to note that I do not apply the coconut/argan oil to my scalp but rather to the mid-shaft and ends of my hair. Thank you very much, I will be buying your book in the next few days and I look forward to making changes in my diet and lifestyle so that I may have a higher chance of keeping flowy hair into later life. 1) It depends on each individual. The main concern with frequent shampooing / conditioning is that you’re constantly stripping your hair of its natural oils (sebum), and thereby likely increasing the production of sebum, which over time, will make your hair look greasier faster and increase your dependency on shampooing / conditioning. There’s some evidence that excess sebum is associated with increased hair thinning – suspected to be the result of certain microbial colonies that feed off sebum and in turn create inflammation. So in my experience, it’s best to keep sebum production within normal ranges – and for myself and others, that means we need to stop the sebum overproduction cycle by quitting shampoos / conditioners. 2) Quality does make a difference. But in general, most major brands skirt quality control and use misleading wording to make someone assume a shampoo is devoid of problematic ingredients when it isn’t. For instance, after sodium laurel/laureth sulfate started getting some negative attention, many brands stopped including it and instead advertised “no sodium laurel sulfate!” Their replacement ingredient? Coco laurel sulfate. It’s essentially the same molecular compound, only derived from coconuts. It’s less studied than SLS, but likely produces the same effects. 3) Coconut hair might make the scalp and hair feel greasier, but it shouldn’t hurt hair quality or make your hair more brittle. On the contrary, most people report the opposite when they consistently use fat-based oils on their scalps (either as a leave-in nightly topical or even more sparingly – like application 20-30 minutes before showering). If you don’t mind me asking, what’s your opinion on the theory floating around hair loss forums that excess body hair indicates how fast someone will lose their hair or if they will lose their hair at all? I live in the UK currently and probably 70% of all men around me that I see with MPB barely have any hair on their body let alone an excess of it. I have also seen some that fit the “hairy body, hairless scalp” type but I haven’t really observed any pattern. Do you think they’re related? It’s an interesting theory! But the body hair-baldness connection seems to be more associative than causative. We know this from looking at the extremes: while relatively uncommon, there are men with lots of body hair and most (if not all) of their scalp hair – even late into life (for instance, Alec Baldwin). Thanks man, just bought your book gonna start reading now and start applying the knowledge within. Is the massage meant as a treatment option for those who already are experiencing thinning, or is it also a preventative measure if you have a full head of hair? Based on the evidence, it should be preventive too. I wish I’d started them long before my hair started thinning… It probably would’ve saved me a lot of time and energy! Regarding iron levels, I recently had a blood test but I couldn’t see any iron levels on my results. I had a red blood cell count, haemoglobin and haematocrit levels. Would those be enough to find out my iron levels or would I need an additional test just for iron? I’ve a question that is, my father & ancestors are also bald. Even I m also going bald would any diet help me to regrowth of my hair. Can you suggest me because I have consulted many of doctor’s they prescribed finsteride tab and even I used sawplametto but here there was a answer with sawplametto I’ve took it for 4months it as worked great but doctor informed to stop it as it gives side affects like impotent. So, can u please help me in this what diet and how to maintain. I was fedup with doctors and medicine’s. I’m interested in your Skype meetings, but it says going over blood tests would be important. What tests should I do/ other facts should I know before signing up for the Skype consultation? Thanks! Thanks for reaching out. There’s no need to go over blood work during the sessions — in fact, this is rarely done in sessions since there’s so much more to talk about. Sometimes, the sessions are used to advise certain blood / hormonal tests to figure out what else could be going on (ex: if there’s suspicion of SIBO, estrogen dominance, etc.). But there’s plenty else to cover in these sessions. 1) In the book you mention “iron overload” for a cause of hair loss. What ranges do you consider optimal? Just donated blood today and I was at 13.8 (male). Not sure if that’s too high, too low, etc. In general, a complete iron panel is required to determine if someone has iron overload — because the preliminary test (hemoglobin) you’ll do during a regular blood test just can’t tell you much. In addition, the interpretation of these results matter. Sometimes tests will read like “low iron” but a closer examination actually reveals low iron due to a pathogenic infection — in which case, if iron supplementation is given, it could be fatal. I haven’t tried the new version of the keto diet yet! It’s still on my agenda, and plan on doing so this year. In general, I probably dip into ketosis regularly without knowing it — since I’ve lately been limiting my refined sugar and don’t eat grains anyway, which, alongside a daily workout, might frequently put me in a ketogenic zone (at least temporarily). But things feel good for now, so I’ve been reluctant to make major changes to the diet. I’ll be sure to keep you posted when that experiment happens! I was looking through the article and have found many interesting information in it and would like to seek your advice. I am an Asian Female and have notice falling hairs since I was 13 years old. Till now, I am 27 years old and the situation have gotten really worse where I think my hairs are not growing anymore. Before I resign myself to the harsh reality and due to DNA (My mom started to lose hair at a young age too), is there anything that I can do to regain back my hair? Or to slower the process? Have you tested for any of the following? Particularly for young women, these conditions are concomitantly associated with the onset of hair thinning. When they’re properly treated, most of the women with whom I’ve worked have reported an arrest (or reversal) of hair loss. I’m a woman in her mid-30s and I’ve just been diagnosed with female pattern hair loss. My scalp biopsy reports shows “possibly lichen plano pyloris” and “suggestion of early concentric fibrosis around the hair follicles”. The final diagnosis on the report is “mild perifollicutlis present with possible early fibrosis”. My dermatologist is pretty positive its actually early AGA which he has put down to my genes. All the hairs from my sample were terminal hairs with no predominance of telagen or vellus hair. No marked loss of hair follicles yet. So maybe I’m wrong but how did come to this conclusion? I went to a functional doctor who ran tests and found me to be low in iron, vitamin D and B12. My oestrogen, progesterone and testosterone are all low and CRP serum levels are elevated. I wish it was just a case of telogen effluvium but the derm believes otherwise. He hasn’t discussed why he’s come to this diagnosis but I recognise a lot of the terms on my report that you use on your site such as inflammation, fibrosis,etc. He wants to put me on minodoxil. I still have a good head of hair but its gradually losing density and I’m afraid of the side effects of such a treatment. Your techniques sound promising and safe/without side effects and I would love to try it but with the current recession in my country and the negative Rates of Exchange impact I’ll have to wait quite a while before I can afford to order your book. I read your article regarding the balding gene and I want to share my family’s story to share with you how weird and complicated this whole hair loss thing has been for me. As I mentioned before, my paternal grandfather and both my dad’s brothers are completely bald. My dad was blessed with a great head of hair most of his life but slowly developed typical male pattern baldness symptoms (mostly at the crown) in his late 50s. He took it in his stride thinking it was inevitable from his genes. A few years later he got sick and developed fibrosis of the lungs and was in a coma for a month. We watched in horror as all his remaining hair fell out while he lay there unconscious. But surprisingly a year later after his recovery he had regrown all his hair including on all his bald spots. He sadly passed away last year with a head full of silver hair. We never understood how he magically recovered from the hair loss which we all put down to “genes”. I’m hoping for a miracle as I struggle with my own hair loss which I don’t even know how to treat as I don’t know what type of hair loss I actually have based on the above. But I’d like to know your own thoughts regarding my own situation and my dad? Also how is it possible that a man who was clearly balding like his brothers and father could “reverse” the baldness by doing nothing? The only thing I can think of was that he was on a lot of anti-biotics to fight the infection in his lungs. Would this have helped in some way? Also a second question, I suspect that if I have AGA, that the contraceptive pill may have triggered it. What is your thoughts on this? I’m using something a Pill which contains gestodene. Its known as a “light contraceptive pill” in my country. But the hair loss has been so gradual I can’t really tell when it may have started. I´m following your research with a lot of interest. You’re doing an amazing job there! I´m thinking of buying your book soon (I want to read all the articles in your blog first). It seems like my hair is miniaturizing (I started having thinner hair on the sides and the back of the scalp & slowly the hair on the top is also getting thinner – not the typical pattern for women, I know) and I am terrified of passing this on to my kids if I´ll ever have any. I do not have any female baldness history in my family (but are bald men, including my dad), but still got this (due to epigenetics then?). I´m just wondering whether my kids would have a higher predisposition to develop baldness because in my case the gene went “on” due to “x” reasons. I know there are a lot of genes involved, but taking the mice example, I would in principle not pass it if I managed to turn the baldness genes “off”. 🙂 I know it’s not that simple but I´m wondering how you see this. Thanks so much for your views and keep up with the GREAT work! Hey there. I’m pretty desperate, and have definitely spent many years googling “how to prevent hair loss” until 3am. I’m a 26 year old female and feel as if I’ve tried everything. I signed up for your book! I’m just wondering if there are any other tips or points you can share? I’ve lost almost all of my hair by this point, and it’s pretty devastating. I know I’m doing something to trigger it, but I can’t figure it out.